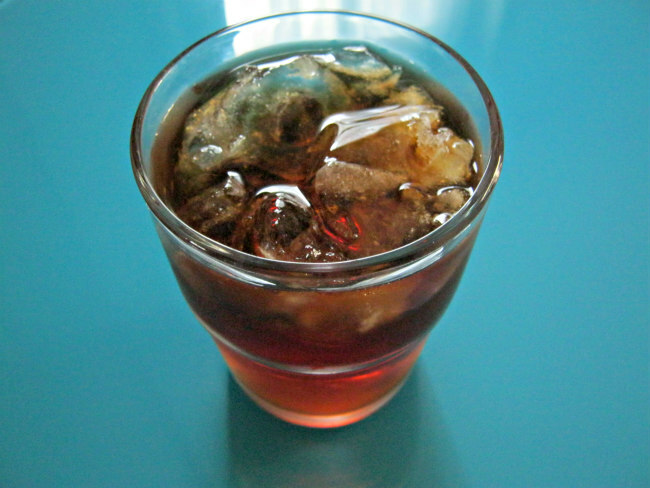 No doubt about it, cold brew coffee is really hot right now. 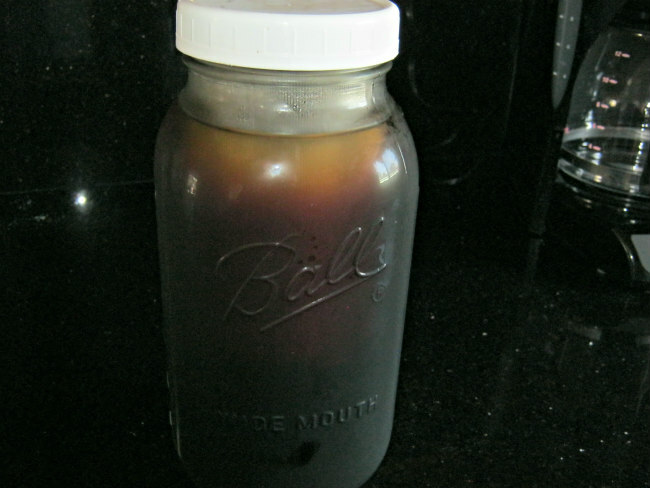 For me there’s nothing more refreshing than cold brew coffee poured over ice with billowing swirls of half and half. Iced coffee is my favorite drink and I used to just make it in an electric drip coffee maker and then refrigerate. 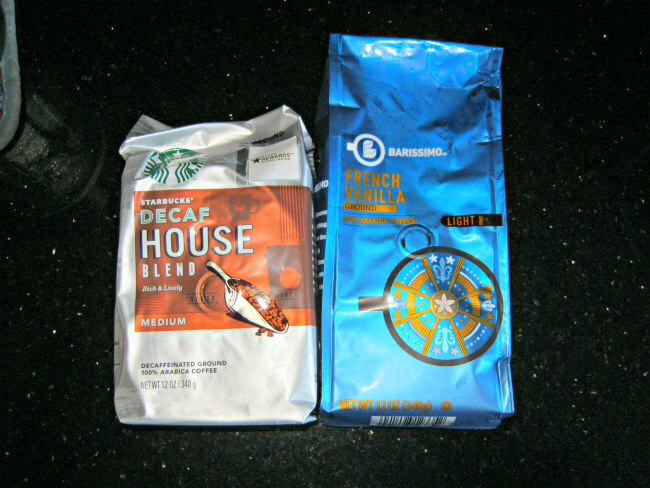 But I started noticing a bitter taste no matter what type of coffee I used. So I went on the hunt for a better brewing method. 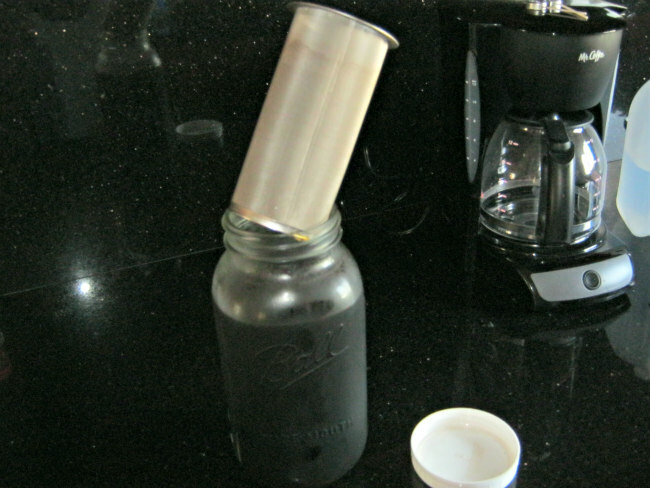 Through a lot of trial and error, I finally devised an easy method for making cold brew coffee without the mess. The main benefit of cold brew coffee is the taste. It’s mellow and smooth, not sharp or bitter, because less acid is released. The next benefit is that less caffeine is extracted with this method. That might not be considered a benefit by some but it probably should be. Too much caffeine is bad for your adrenal glands, and that’s a concern for me. So I use half decaf to bring the caffeine level down even more. Only a couple of things are needed for making cold brew coffee at home that you might not already have: a 64 oz wide mouth mason jar and this metal filter. Finding this filter was a game changer. It strains out all the sediment without having to use an additional paper filter inside. It’s also nice to buy plastic lids for the mason jars. I prefer those to the two-part metal lids that come with the jars. 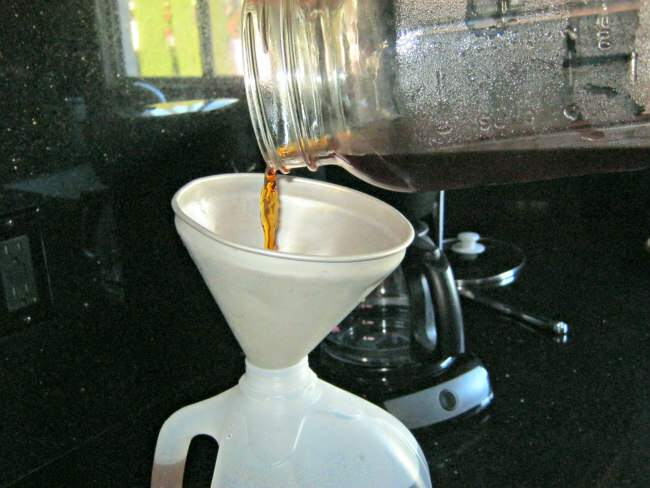 You probably already have a funnel which helps when transferring the brewed coffee into a storage vessel of your choice. How strong do you like your coffee? Before getting to the recipe, you need to determine how strong you like your coffee and I have a little test to help you figure that out. Using a Mr Coffee-type drip maker as an example, if you use one scoop of coffee for two cups of water, then follow the recipe below for regular strength coffee. If you use one scoop of coffee for one cup of water, then double the amount of coffee. 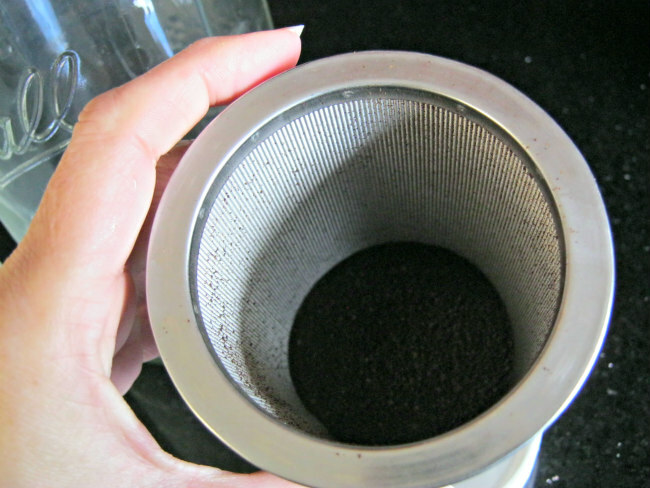 The filter can hold up to 2¼ cups of coffee grounds. Use one cup of coffee per gallon of water. 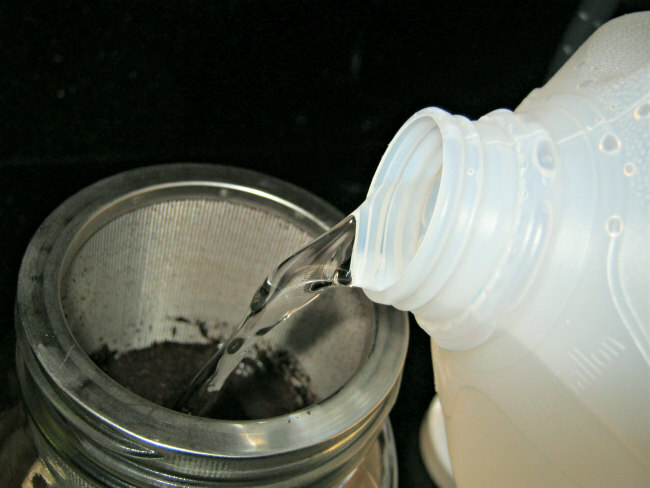 Place the metal filter in the mason jar and put one cup of coffee inside. 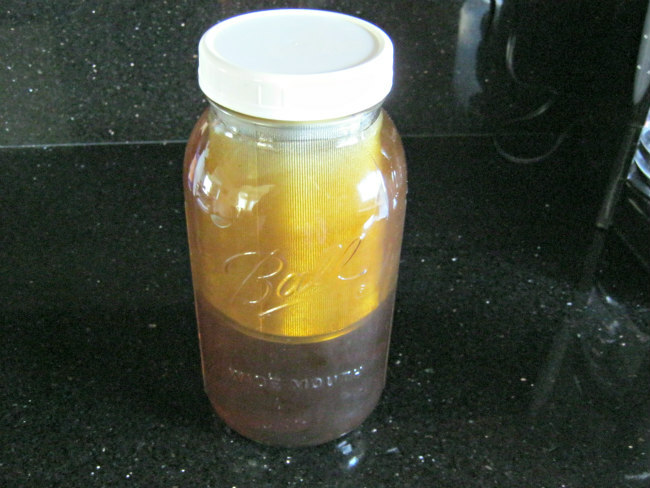 Take a one gallon bottle of water and pour water over the grounds until you reach the top of the jar. Put the remaining water aside until the next day. Put a lid on the jar and stick it in the refrigerator. Let brew for 12 to 24 hours. I go up to 24 hours. Beyond that it starts to get bitter. And that’s it, simple as can be. 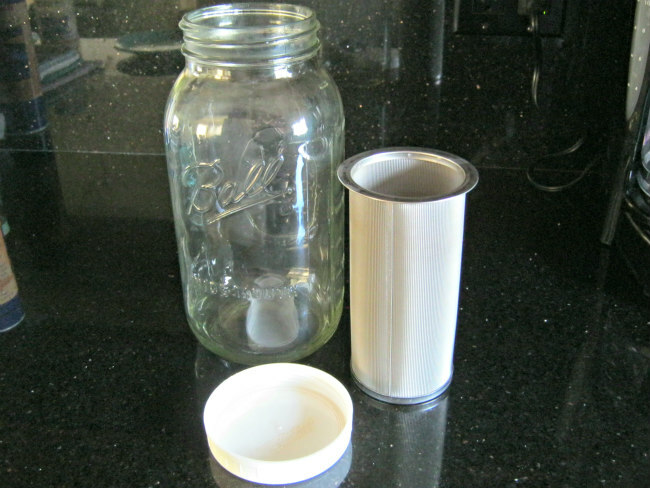 Twenty-four hours later, I take the jar out and balance the filter on the jar to let the coffee drip out. After a few minutes, I take the filter to my trash can, dump it out then rinse it. Then I put a funnel into the plastic gallon water jug and pour the brewed coffee inside where it mixes up into the perfect strength, ready for drinking. 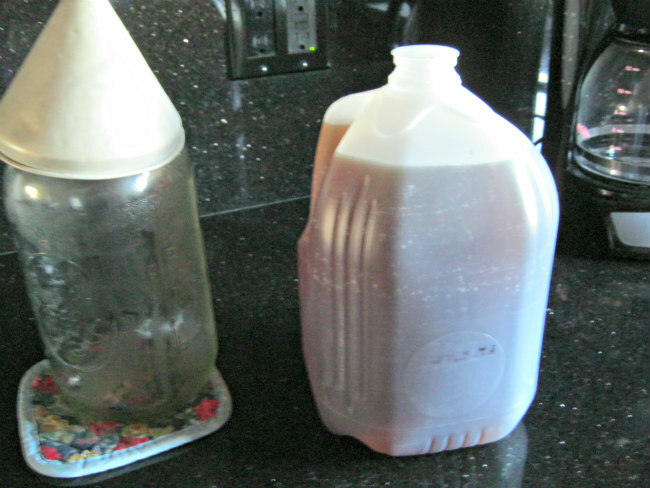 If you don’t want to store yours in a plastic jug, you can get glass carafes. I just find this method more convenient and there’s one less thing to wash.
As soon as I’m finished making one batch, I rinse out the jar and repeat. I would say the coffee is fine for at least a week, maybe even ten days, in the refrigerator. Always keep it refrigerated so things don’t start growing in there. I keep about a week’s worth on hand. I usually make coffee for four days in a row, then I wash everything in the dishwasher so it’s ready for the next time.